The 2001 Super Bowl will always hold a special place in the hearts of Patriot fans, but the current run this team is on might its most impressive. In a season that started with losing Nate Solder, Malcolm Butler, Dion Lewis, Brandin Cooks and playoff Danny Amendola, not many people were giving the Pats a shot at going 3 in a row. The offseason did bring some excitement with adding guys like Kenny Britt, Jordan Matthews and Jeremy Hill, but Hill was the only guy to make the team, and he only played half of a game this season. Then out of the blue, Julian Edelman gets suspended for 4 games and apparently Gronk was threatening to retire. They were able to bring excitement in again with the addition of Josh Gordon, but he unfortunately went down a similar path of suspension. While this was all happening, the Kansas City Chiefs found a true star in Patrick Mahomes and were looking to lock up the number one seed. Then there was the miracle in Miami and a loss in Pittsburgh and boom the only way the Pats can make the Super Bowl is to win in Arrowhead, one of the few places you REALLY did not want to go in and play. As seen in previous years, the Pats were capable of pulling a decent team to the AFC title game, only to get beaten down from injury and lose heartbreaks in places like Denver. However, this year's roster was about as healthy as they could be, but beating the top seed at home against the likely MVP is no easy task. Stop me if you've heard this one before, but the Pats did it again. The greatest games are never fun to watch live, but hot damn what a run. The Pats did what they do best: do just enough to expose their opponents weaknesses and come out on top. As a young fan, I have received my fair share of "you don't realize how spoiled you are" from fans who suffered from years of bad football, but I will not take this run for granted. 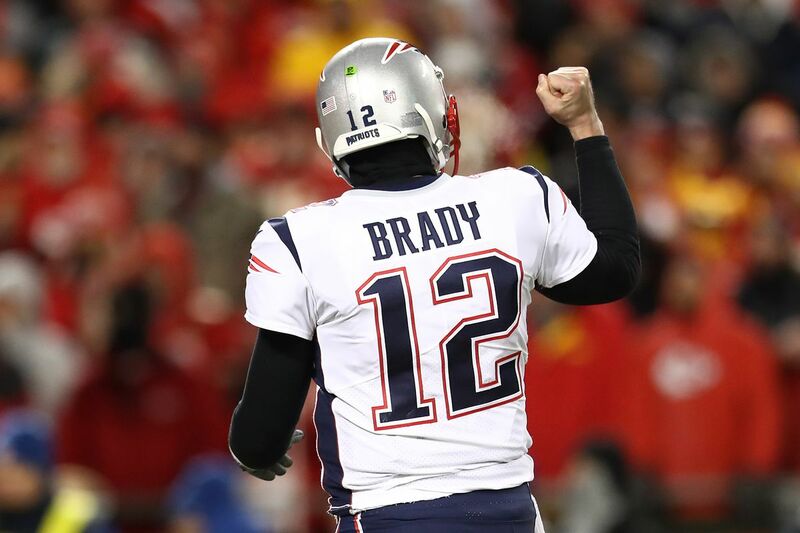 Against all odds, the Patriots are in their third Super Bowl in a row and regardless of how the game turns out, this has been one of the most impressive runs by any team in history.